Generated solely from mobile communication devices, such as smartphones, tablets and media players, “Eiffel” uses current technology to deliver a comment on itself, on its grit and coarseness, on its scale and permanence. 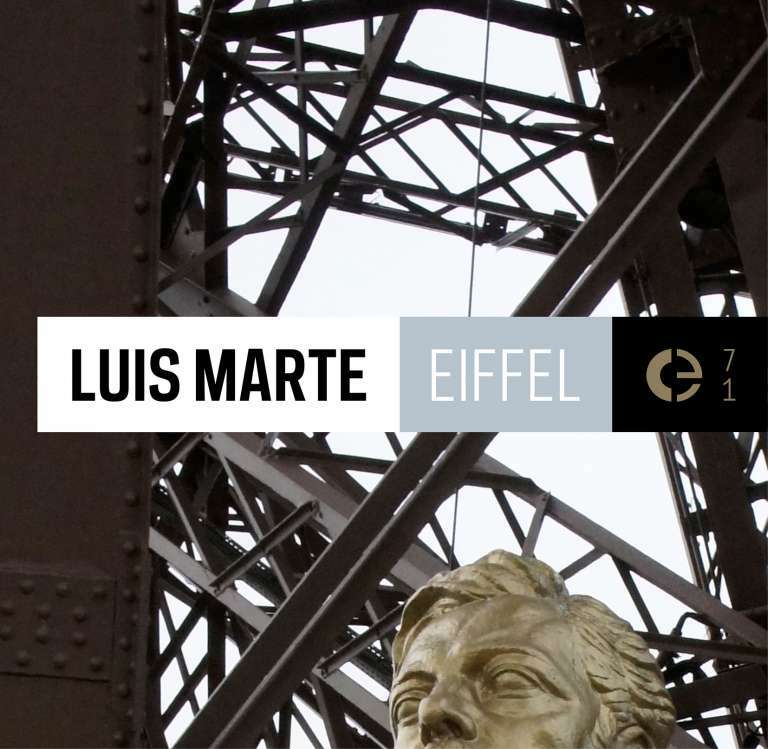 Built from technology, “Eiffel” is pervaded with mechanical sounds and rhythms, distortions and harshness, and is titled after an enduring technological landmark, the Eiffel Tower, and its creator, Alexandre Gustave Eiffel. Luis Marte works on improvisation and in the search and exploration of the field of sound with all kinds of elements, both conventional or unconventional. Since the start of the 1990s, he crossed paths with artists such as Francisco López, Jorge Haro, Pablo Reche, Tzesne, Klauss, Xabier Erkizia, among others. He organizes the label and artist collective Fuga and the Fuga Jurásica Festival, the main event for sound experimentation in South America. He was the director for culture at the Argentinian Museum of Natural Sciences and he currently coordinates various cycles of music and video in Argentina, Perú and Spain, as well as the museum night in the city of Buenos Aires.